This app let you hold screen and WiFi on. For example, if you download something big from torrent just tick 'Hold WiFi' and start service. It will hold WiFi connection even if your device is 'asleep'. 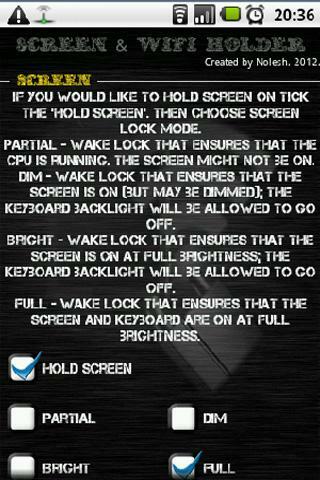 If you choose 'hold screen' your device will never sleep.